4k00:46Aerial Wind farm turbines silhouette at sunset. Clean renewable energy power generating windmills. Algarve countryside. Portugal. 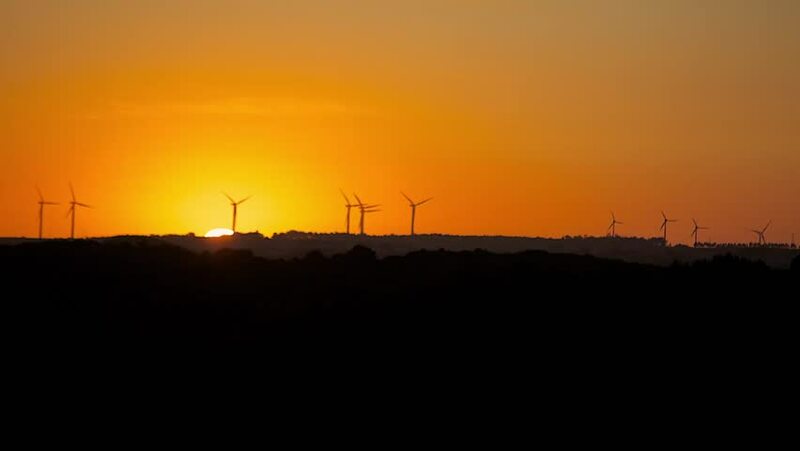 4k00:22Aerial Wind farm turbines silhouette at sunset. Clean renewable energy power generating windmills. Algarve countryside. Portugal. 4k00:18Landscape. Wind turbines (electric generators) on the sides. Nice sunny day during the summer. Blue sky with clouds. Bird fly through the shot.